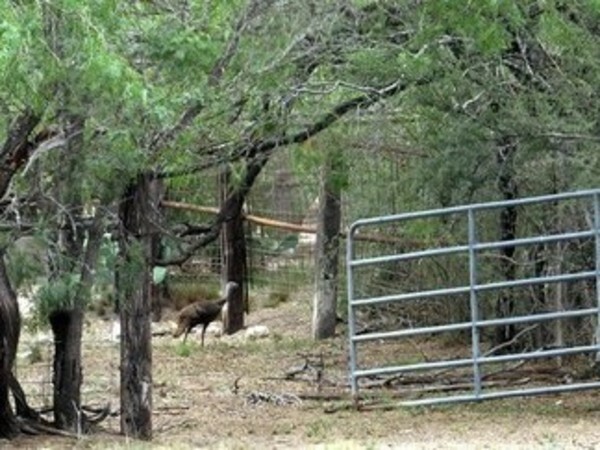 Description: Double Eagle Ranch is located 12 miles south of George West and 27 miles north of Alice just off Highway 281. Double Eagle Ranch is only 1 hour from Corpus Christi and 1.5 hours from San Antonio. 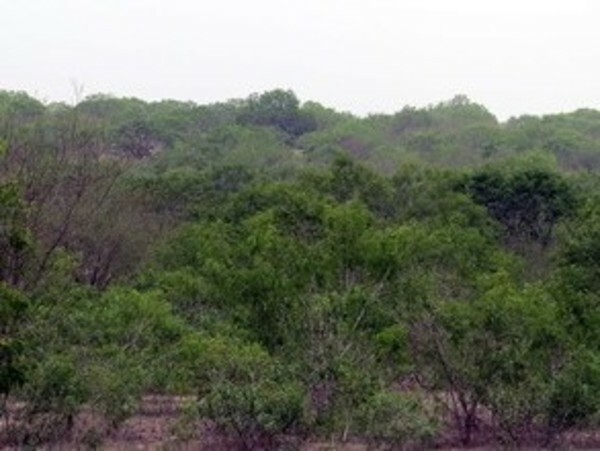 This beautiful south Texas land is level to gently rolling and covered in mesquite, black brush, and scattered oaks. There is electricity available to most tracts in the ranch. Water wells in the area are 300 - 350 feet in dept, drilling costs averages $17/ft. 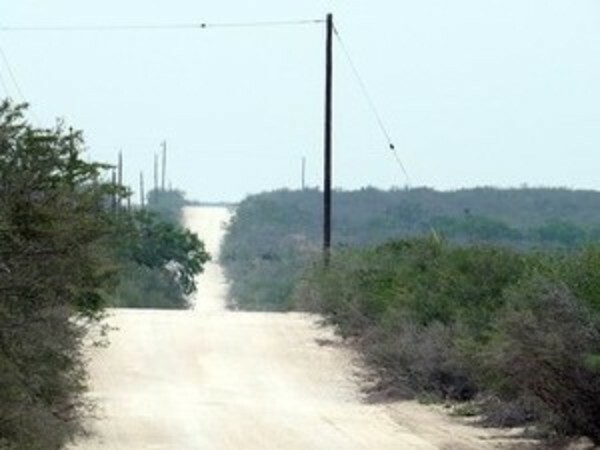 The all tracts front on an all weather caliche road with a 60' recorded easement for access. There are seven tracts on the ranch that front on County Road 170. Amenities: There is electricity available to most tracts in the ranch. Water wells in the area are 300 - 350 feet in dept, drilling costs averages $17/ft. 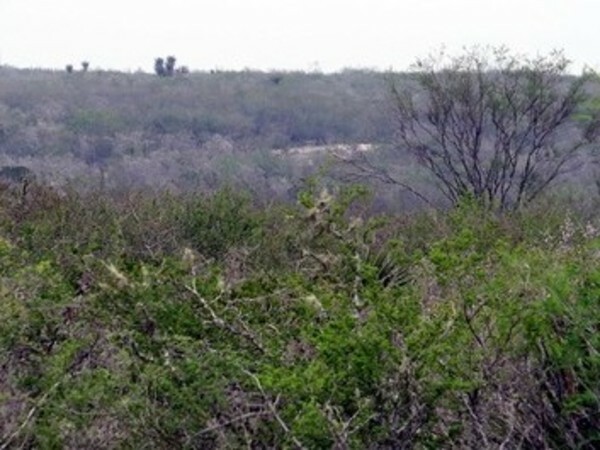 The all tracts front on an all weather caliche road with a 60' recorded easement for access. There are seven tracts on the ranch that front on County Road 170. Fixed rate owner financing is available with as little as 5% down for up to 20 years. 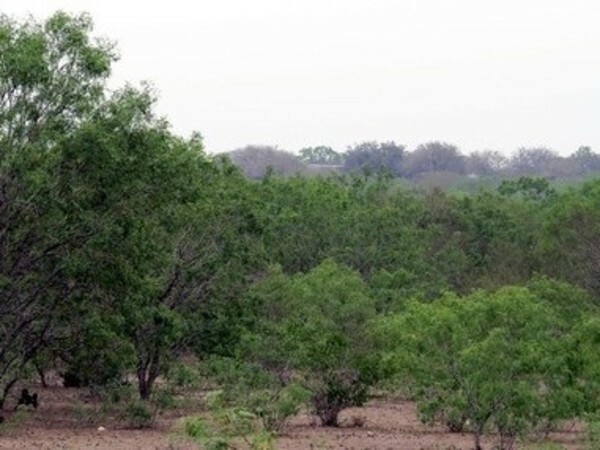 Qualified Texas Veterans can use their Texas Veterans Land Board Loan (TVLB) to purchase the property. 1. That these covenants are to run with the land and shall be binding on the Purchaser and all persons claiming under him. Purchaser understands that these restrictions and covenants are filed in the Real Property Records of Live Oak County, Texas. 2. That the above property herein shall not be used for commercial or day lease hunting or any manufacturing purposes. 3. That no automobile, truck, trailer, or other vehicle shall be abandoned on this property, nor there any dumping or placing of unsightly objects of any kind on the property. 4. That no structure whether temporary or permanent of any kind (including hunting blinds and/or deer feeders) shall be permitted within 100 feet of any property line. 5. 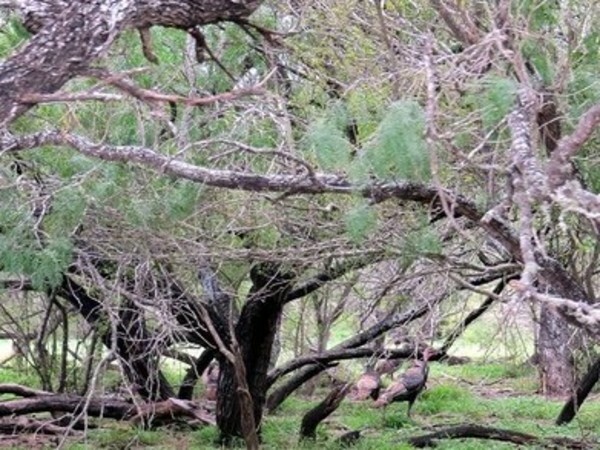 Texas Parks and Wildlife Code - Section 62.0121. Discharge Of Firearm Across Property Line. A person commits an offense if: (1) the person, while hunting or engaging in recreational shooting, knowingly discharges a firearm; and (2) the projectile from the firearm travels across a property line. 6. Hunting blinds may not be over ten (10) feet tall from the ground to top of blind. Purchaser shall have the responsibility of safe discharge of firearms on his or her property. All firearms discharged on the property shall be done in a way that insures the projectile will not leave the Purchasers property. Purchaser shall discharge firearms so that the projectile impacts the ground of the property by utilizing elevated blinds, natural features and/or earthen berms constructed by Purchaser. 7. That no noxious or offensive activity shall be carried on upon any tract nor shall anything be done thereon which may be or become an annoyance or nuisance to any adjoining tract. No tract shall be maintained or utilized in such a manner as to violate any applicable statute, ordinance or regulation of the United States of America , the State of Texas , the County of Live Oak , if applicable, or any other governmental agency having jurisdiction thereof. 8. Sizes and Type of Building. Not more than one single-family residence shall be placed or constructed on any tract of the land herein contracted or conveyed. Each dwelling must be new construction and shall not be less than 900 square feet of heated and air-conditioned space, exclusive of garages, carports and porches. All plans and specifications are subject to the prior written approval of the SELLER or POA. All dwellings must be completed within 360 days after laying foundations. A residence may not be lived in or occupied until the residence is 100% complete as per the SELLER or POA approved plans. 1. New Manufactured Dwelling Houses (or houses which are not more than five years old and approved by the SELLER or POA ) of not less than 900 square feet are permitted. 2. All manufactured homes must have their towing devices; axles and wheels removed, and must be placed on a slab, blocks or piers and anchored to the land in the manner prescribed by the Texas Department of Licensing and Regulation. 3. All manufactures homes shall have shingle roofs (or roofs made of other materials approved in writing by the SELLER or POA) and hardy panel siding or vinyl siding. 4. All manufactured homes must be completely enclosed from the ground level to the lower portion of the outside wall within 60 days after placement on the property with dealer installed skirting such as hardy panel, masonry, plaster, brick, stucco or other fabricated material specifically approved for the purpose of enclosing manufactured homes, as approved in writing prior to installation, by the SELLER or POA, so as to maintain a neat, harmonious appearance. Lattice and vinyl skirting are not acceptable. Back filling is allowed. 5. Unless back filled, a front deck built of weather resistant wood shall be installed within 180 days of the installation of a dwelling. The porch shall be a minimum of 6 feet by 12 feet and shall have railings and banisters at all appropriate places. 9. RV’s, travel trailers and tents may not be used as primary residences but only for temporary use. Tents must be dismantled and stored when not in active daily use. All RV’s, travel trailers and tents must adhere to setback requirements. 10. That no commercial swine operation shall be permitted. 11. That no tract may be subdivided. 12. Live Oak County will not be responsible for the construction of driveways or entrances to Tracts fronting on a county road. 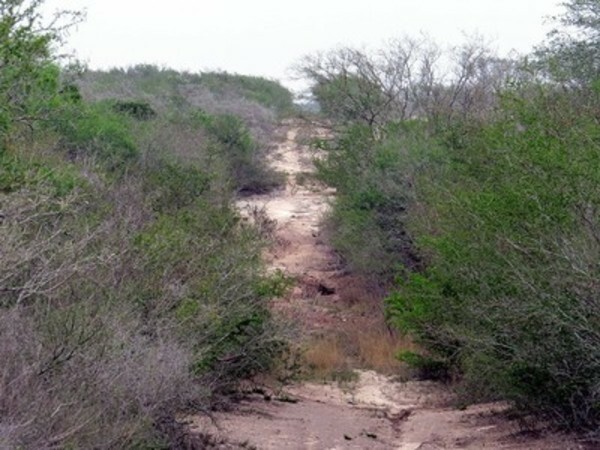 Each property owner shall be responsible for the construction of private driveway or entrance to their Tract which shall include a culvert to facilitate drainage. 13. Property Owner's Association. That at such time as SELLER may determine at his sole discretion, the SELLER shall have the authority but not the obligation to notify each purchaser of the time, date, and a place of a meeting of all purchaser to be held for the purpose of organizing a Property Owner's Association. A majority of the votes of the purchasers in attendance at such meetings or by written proxy shall be sufficient to transact business at such meeting. Each purchaser, including SELLER, attending or represented by written proxy at such meetings shall have one vote for each tract owned by such purchaser on all business to come before the meeting. Upon the creation and organization of such organization, as non-profit corporation, or otherwise, SELLER shall transfer and assign to the association the current balance of the maintenance funds, if any. Thereafter such association shall have the power, authority and obligation to maintain the maintenance assessment. All such assessments upon any tract in the development shall become the personal obligation of the owners of such Tract and such association is hereby granted a lien upon each lot to secure the payments of such assessments, permitting said association such rights to enforce said liens as may be set forth in Sec. 51.002 of the Texas Property Code, as amended time to time. 14. Maintenance Fees. Purchaser hereby authorizes SELLER, and/or Assigns to charge each purchaser a maintenance fee of $50.00 per tract per year; $25.00 per tract per years for tracts fronting exclusively on a county road, to fund the day to day business of the POA as well as improve and maintain the entrance, roads, and any other maintenance deemed necessary by the SELLER and/or the POA in Double Eagle Ranch. Such charge shall not be assessed against SELLER and/or Assigns. Such charge shall be made by direct billing to the purchaser. If Purchaser refuses to make said payments, Purchaser hereby authorizes SELLER, at SELLER’s option, to deduct such charge from payments made by Purchaser, and any such charge so deducted will not be credited to the payment on the balance due on the purchase price, principal or interest. It is understood and agreed that this maintenance fee (if not paid within 60 days of billing date) shall become a lien against the tract being conveyed, permitting SELLER and/or POA such rights to enforce said liens as may be set forth in Sec. 51.002 of the Texas Property Code, as amended time to time. 15. That no deviation of any kind shall be permitted from these restrictions unless the SELLER grants permission in writing. Tell me more about this property, Double Eagle Ranch SOLD OUT, for sale.